I purchased these fender flares immediately after picking up my new truck. I had some things painted and my friend who is a painter cut me break on painting the fender flares since everything was already setup. I went ahead and got them painted. I installed the driver's side fender flares on my truck in my garage and didn't like the way they looked on it. I need wider/larger tires to complete the look and I'm not willing to go down that path. I'm looking to get 450 out of them. I want to try to do local pick-up first and will even help install. Everything is included except for those silly little squares that are supposed to protect your paint. I have some HVAC tape that would do a much better job. 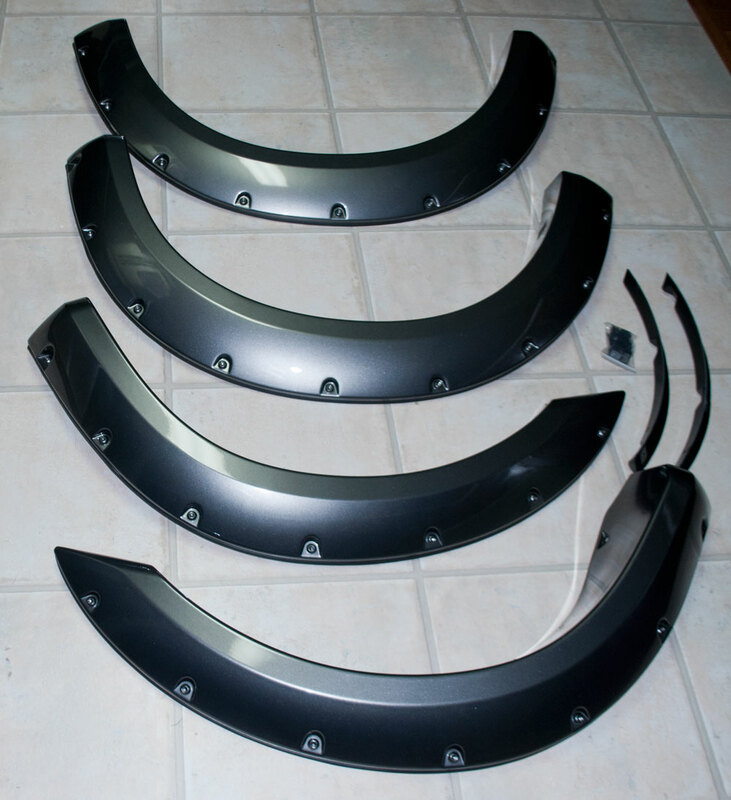 Fender Flares and "Rivets" were painted Dark Shadow Gray with Dupont paint including flex agent. Adhesion promoter was also used prior to painting. I'm willing to ship these.